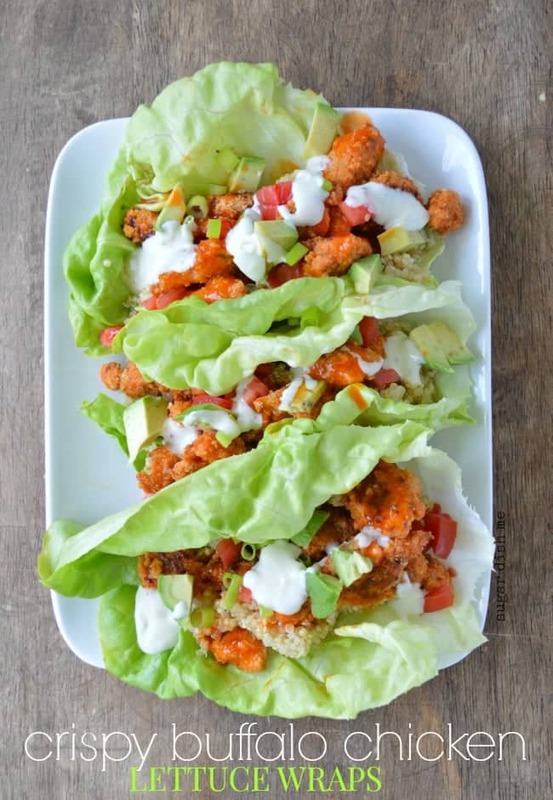 Lightened up breaded baked little chicken bites tossed in delicious buffalo wing sauce, wrapped with quinoa and fresh veggies in a leaf of buttery lettuce. 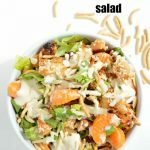 Buffalo Chicken Lettuce Wraps make a delicious light lunch or dinner – like a salad you can eat with your hands! Update October 2017! 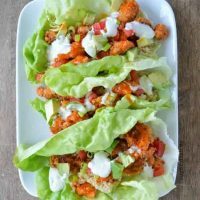 These Crispy Buffalo Chicken Lettuce Wraps have remained the top recipe on Sugar Dish Me since 2014! 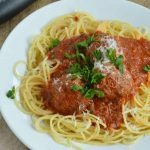 They’ve been pinned nearly 1 million times and thousands of readers have made this recipe with ease, success, and great reviews! ***Picky significant others that need to lay off the cheeseburgers love them as much as the health food bloggers that have been sharing this recipe with their Instagram followers for the last 3 years. That’s when you know you’ve made a good-for-you meal that you can call a success! I think hot sauce might be the greatest condiment ever invented. Buffalo sauce is definitely the best thing to ever happen to chicken. Keeping it real here you guys: I cannot be held responsible for the words that end up in this post today because I think I had like 1.6 hours of sleep. You might just wanna do that thing where you scroll to the end and read the recipe because run-on sentences, grammatical errors, and spell-checks on words I could spell since I was 10 are definitely happening here today. Last night Betty and Charlie were possessed by the lunar eclipse blood moon and decided that 2:30 a.m. was the perfect time to run around and have a dog party. Also 3 a.m. and 4 a.m.
AND because of the lunar eclipse blood moon, I’d set my alarm for 5 a.m. so Evan and I could go camp in the driveway and watch the coolness unfold. So after the dog party persisted and my head spinning around like the exorcist while yelling in my best demon voice for the puppies to go lay down did not work, I gave up and got up. Did you guys traipse around in the dark and catch the eclipse? We tried, but that’s the other thing that has started my day off like a total train wreck: At 5:45 a.m. Evan and I stood in the driveway in the cool pre-dawn air peering through the trees at the smoky cloud-covered moon. It was about 2/3 of the way covered and the stars lit up the other half of the sky. We decided to come back inside and finish getting ready for school because the cool phases weren’t supposed to happen until 6:14 – 6:55. But. When we went back out the clouds were thick and it started to sprinkle rain. My kid had a lunar eclipse blood moon meltdown, because we all know it is Mom’s job to change the weather for cool astronomical (<<<— totally just typed astrological and had to Google my sleep-deprived vocabulary) events. So awhile back I made this Crispy Orange Chicken . It’s one of my favorite recipes I’ve ever shared. I decided it would be fun to switch it up and go all buffalo with the breaded baked chicken. Then I wrapped it in soft buttery lettuce leaves with quinoa, fresh tomatoes, avocado, and light blue cheese dressing. You could go ranch, but I’m BC all the way. The resulting Buffalo Chicken Lettuce Wraps are lightened up, protein-rich, totally filling, spicy, yummy, buffalo goodness. And now I have to make more coffee or I *might* fall asleep. 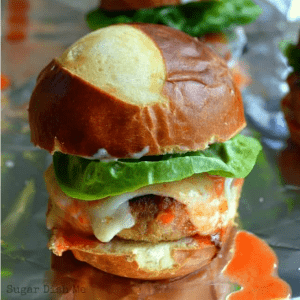 Buffalo Turkey Sliders are one of the best little appetizers I ever made! Juicy little turkey burgers loaded with your favorite wing sauce spice, topped with melty cheese, crisp lettuce, and your choice of blue cheese or ranch dressing! Toss the chicken in the 1/2 cup buffalo sauce, cover, and refrigerate for at least 30 minutes. 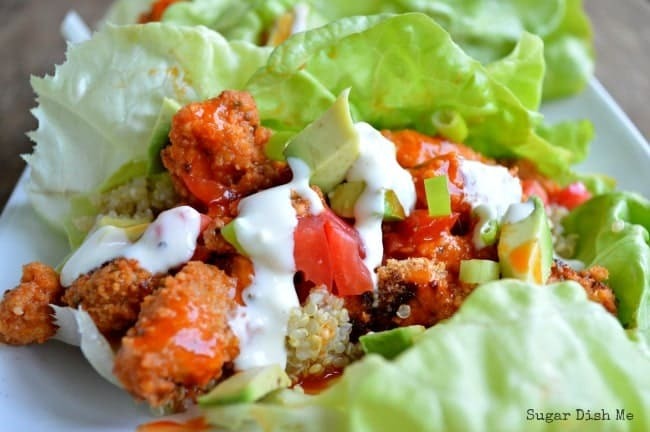 Great recipe, I love lettuce wraps:) And with buffalo chicken..it must be delicious! Is there anything that I can do to remove the adds?? I can’t see your blog. Hey Nancy! Can you let me know how you’re viewing? Is it a tablet, mobile, or desktop? I’m so sorry! If you let me know I can contact my ad manager to fix the problem. I am using a Kindle. I am not a computer person–I just went from dial-up to Wi-Fi five months ago when I got the Kindle. So I am assuming there is something I could do but don’t know how. There is one of two adds that keep me from seeing your print–one is–UGG that completely covers the screen. Hey Nancy! I’m so sorry it’s causing you trouble! If you view it horizontally on a tablet that will work a little better and I’ll let my ad manager know there are intrusive ads. Thanks so much for bringing it to my attention! I can’t wait to try this! I make your Crispy Orange Chicken recipe all.the.time. and love it! Oh yay! That makes me happy Tara! Thanks! Oh gosh, your story about the blood moon is too funny! I hope you were able to catch some zzzz’s to make up for it! I totally went to bed at 8 p.m. last night. Thanks so much Beth! Thanks for your help and for sharing this great wrap recipe. I did this yesterday and it was a hit with my family. Love that it fills you up without feeling stuffed. With two lettuce wraps each person was good enough to feed our family. Thanks for posting!! Oh awesome! Thanks so much for the review Maria! Oh thanks Taylor! Let me know how you like these! They are a staple around here. The orange chicken variation is really great, too! Made these last night and they turned out really well! This would also pair well with rice or buckwheat. So glad you enjoyed them!!! Thanks Beata! These were so good! I skipped the quinoa and drizzled buffalo sauce and ranch on top. So glad you enjoyed it! Thanks Molly! Made these for lunch today and loved them! Oh great! So glad you enjoyed them!! Made this last night, was low on carbs for me and my husband loved it!! Sounds like a win! So glad you guys enjoyed! Thank you! What are the serving size and what are the calories per serving size? Sounds yummy! How many wraps per serving? Hey Kori! The servings are listed in the recipe card; this will serve 4 – 6 depending on how full you like your wraps. I usually opt for a little less filling and more wraps so the lettuce will more easily hold it all together. Thanks for the recipe! Making right now….you list buffalo sauce twice, one for marinating the chicken,, what is the other sauce for? Maybe drizzling over the cooked chicken? Thanks for the reply. I made them according to your recipe and they were awesome! One of my new favorites! 5 stars! 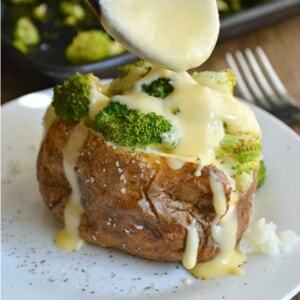 Found this and totally making this tonight for dinner! Enjoy!!! Thanks for reading Taylur! How many calories for each wrap? Hi Kaeley! I don’t provide nutritional information because products and assembly can vary so widely. I personally track them with My Fitness Pal and just add the ingredients individually. How much you can stuff into your wrap will depend on the size of your lettuce leaves. Do you like more quinoa? Less? To give you a good start, 4 ounces of boneless skinless chicken breast is about 160 calories. My wraps usually have about 1 1/2 ounces of chicken. Cooked quinoa is about 140 calories per 1/3 cup. I’d say my wraps usually have about half that. So for the chicken + the quinoa I’m looking at about 130 calories per wrap before I add in all the veggies and factor for the bread crumbs. Definitely a light and filling meal! This was absolutely delicious! I made this when we had a couple of friends over, and everyone was obsessed! I’ll definitely be making these again 🙂 I tracked my ingredients on My Fitness Pal and it came out to be right around 130 calories/serving. Can’t go wrong there, especially considering how delicious they are. Thanks for sharing! Hi Brittany! I’m so glad you enjoyed these! Thanks for leaving your calorie count — that’s super helpful for people reading through the comments for tips — and thanks so much for your awesome feedback! Happy Healthy Cooking! Terrific, Jenna! Thank you for reading! hello just wanted to thank you for this recipe. I have a 10 yar old son who is crazy about Red Hot. He is going to love this and I have a feeling it will be a school lunch favorite for him. The added bonus is that the hot sauce is on the inside so it will be mess free!!! Love, Love this recipe Heather. I will be sharing it with my readers today. I have a weekly meal plan tip for my readers and this recipe will be perfect. I will be sure to include a link so they can come visit your blog. Thanks Quida! So glad you enjoyed these! You are very welcome Heather. My dad has recently been diagnosed with a heart problem so I made this low cal dinner for us last night. He was raving about them and we ate them all! I did the chicken without bread crumbs for even more low carb. Also, I added chopped green onion for another touch of flavor. DEFINITELY going to be a regular dish I will be making! Hi Jessica! So glad to hear that! It makes me the happiest when I can turn out low-cal food without sacrificing flavor. Thanks for leaving your feedback! Heather, this looks so good!!! I love buffalo chicken ANYTHING!!! I shared this in a Recipe Roundup on my blog, Plus Size to Downsized!!! Thanks so much for the great ideas! It was one of the best Buffalo Chicken Lettuce wraps that i ever tasted after preparing it with your recipe!!! My father has as of late been determined to have a heart issue so I made this low cal supper for us the previous evening. He was raving about them and we ate every one of them! I did the chicken without bread pieces for much all the more low carb. Likewise, I included slashed green onion for another touch of flavor. Unquestionably going to be a standard dish I will be making! Thanks so much for reporting back with your recipe success! I’m so glad this worked well for you and your dad. Made this recipe for dinner tonight and it was a hit. Family raved about the beautiful appearance and of course the spicy taste of the Buffalo chicken. No panko crumbs so I substituted crushed shredded wheat!! No butternut lettuce -used Romaine. No matter, the creamy avocado, ranch dressing and tomatoes were a great compliment to the spicy chicken. 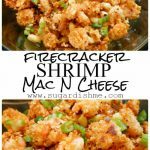 This recipe is a winner and make again to impress company!! Thank you! Thank you so much for the glowing review! I’m so glad this worked for you and your family! Thanks for reading!! Easy, delicious and a sure winner in our house. Thanks for sharing! So glad you enjoyed it Gloria!! I made this tonight for dinner after finding the recipe on Pinterest while searching for low fat dinner ideas. It was very tasty & easy to make which I appreciate. My fiancé liked it (which is saying a lot because he’s not exactly a fan of this health kick I’m on) and my teenage daughter really enjoyed it as well. I’ll be making this again and again. Thank you! My husband took one look at the lettuce and decided he probably wasn’t going to like it. He then took one bite, then another, and another, and went back for more!! Thanks for this recipe. It was super easy and will definitely be on the regular meal rotation. The only change I made was to put the buffalo sauce and some garlic in the food processor to use as the the 30 minute marinade. So good!! I also liked that it was really easy to switch up the marinade for our 3 year old that does not like spicy food. I was able to add those chicken pieces right on the same pan. Hey Jesenia – that is so great to hear! I’m super glad your whole family was able to enjoy this. Thanks so much for the feedback! Healthy recipes for dinner, thanks you! 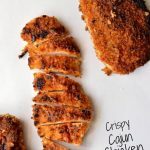 My husband asked if we could try some low carb recipes sometime and I found this one on Pinterest. I’ve been experimenting for quite some time with healthier meal options due to his heart problems and found a winner. We were both pleasantly surprised, especially on how filling it is! Definitely a repeat meal in the future. Nichole – thank you so much for the feedback! This recipe stays in our dinner rotation around here. I’m glad you loved it as much as we do! What is the nutritional value on your recipe here? These were fabulous. hello just wanted to thank you for this recipe. hanks for this recipe. It was super easy and will definitely be on the regular meal rotation. So yummy! Just made for the first time tonight. Any idea what the calories and nutrition content is on these babies? Hey Kara! So glad you enjoyed! Nutritional info really varies. There are a bunch of variations posted by readers on this thread; some leave off the quinoa, some choose not to use avocado (obviously that would increase the fat content), etc. I love My Fitness pal for entering recipes though; especially recipes I am going to use often. I’d recommend that since it’s easier for you to enter HOW you made yours serving size, etc. Hope that helps! Thanks so much for reading! I absolutely love this recipe. I enjoy these both warm and cold . Thank you so much! Thank you so much, Cheree!! Any idea on calories for a serving? 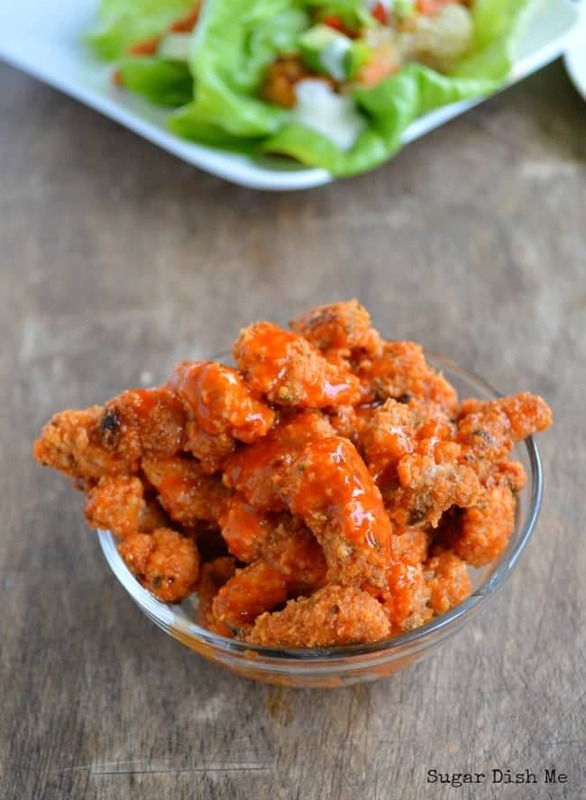 Looking very delicious, I would love to make buffalo chicken but kids not like chicken but i’ll tried this recipe, hope so they will also like. Texas Pete for me! But really I have never met a buffalo sauce I didn’t like! Is there nutritional information for this dish? Made these tonight without the quinoa and added some red onions and omg delicious. Will definitely be making these again. I’m the process of making these buffalo chicken wraps right now. The reviews and photos of this dish seem amazing. I can’t wait to try it! I was wondering if it is possible to cook the chicken on a pan instead of in the oven to quicken up the process? I’m assuming that may burn the panko on the chicken though. Has anyone tried this or know if cooking this type of chicken on a pan would work? Thanks! I can’t wait to try this! I make your Crispy Orange Chicken recipe and rock again. yesssss – love that orange chicken! Love, Love this recipe Heather. Thanks for sharing.Wow these sound so good. weeknight recipe round up | love letters to home. Just put these together for lunches for my husband and me tomorrow. I can’t stop eating the chicken off the cookie sheet!!! It’s amazing! And I love panko crumbs so much more than regular bread crumbs for stuff like this because they get such a nice crisp to them. I put together with brown rice (my husband wouldn’t touch quinoa and I’m too lazy to cook both HA!) and some tomatoes and slivered carrots with a little dressing to drizzle. I love interactive meals because they’re fun and if I’m excited for what I’m going to eat, I’m less likely to think eh I’d rather eat something unhealthy.